Independent hotels - OTA or direct strategy? So, as a company providing online solutions to independent hotels, there is nothing independent hotels can do... of course not. Below please find 3 recommendations for independent hotels. There are a lot of branded hotels direct sales campaigns aiming to get back a balance between OTA and direct bookings for obvious reasons. The usual tactic is immediate enrolment into brand loyalty program from the brand website and the booker can see better rates or valued added amenities right away. Since it is now considered as a “member rate” and not an open rate, OTAs cannot complain about rate parity and branded hotels seem to be winning a small battle here. But how about standalone independent hotels? First, there is normally no loyalty program if it is not with any alliances. Alliance costs, loyalty incentives cost. Then, even if hotels are willing to provide loyalty incentives for repeated guests, if it is more a leisure destination, how many times will the repeated guests come back to stay at a standalone property? Unless it is a corporate hotel, leisure travelers usually like to explore new destinations, new areas, hate to say, new hotels. 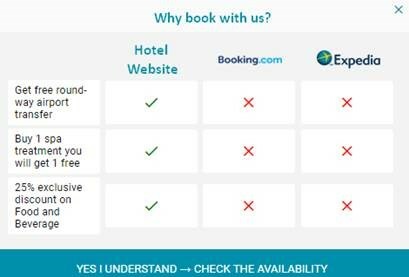 Last but not least, if an independent hotel is using a similar tactic of branded hotels to provide direct website exclusive offers, how effective it is driving traffic back to its official website? 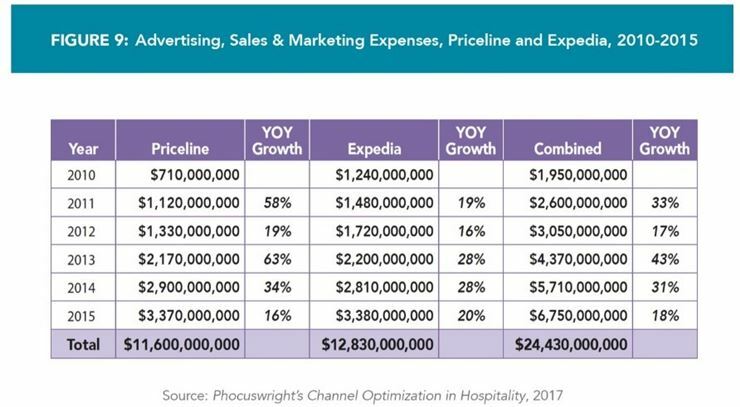 According to Phocuswright’s Channel Optimization in Hospitality 2017 report, Priceline & Expedia combined had around USD6.75B marketing spend in 2015 and this has not taken into other key OTA players like Ctrip, Fliggy (Alibaba travel), Meituan-Dianping (Priceline just invested $450 million in October 2017). Plus all the meta-searches advertising that are more likely to drive traffic further to OTAs rather than an independent hotel website. So, there is technically no way for an independent hotel to beat such advertising budget. So, as a company providing online solutions to independent hotels, am I telling you there is nothing independent hotels can do... of course not. Below please find 3 recommendations for independent hotels. 1. Use OTAs advertising budget to acquire new customers or potentially direct website traffic. Yes, ironically, what I will ask independent hotels to do is to go with the flow and not trying to turn the tide completely. There are still a good portion of travelers that after shortlisting a few properties, they will do further research and look at hotel’s websites, review sites, etc., before making the final buy decision. Independent hotels need to be properly listed on OTAs but up till now, OTAs are best selling “lowest rate” only. There is always opportunities for direct bookings if it is easy to compare and see “values” on its official website. You need to clearly bring up the value on your home page (not just on booking engine as many may not even click if they do not see anything interesting). This is how you can “use” the OTAs advertising budget. 2. Build the relations with your in-house guests even bookings are from OTAs and “convert” them to refer their friends and families to book direct. Word-of-mouth reference is proven to be effective and what if you give them a discount code that they can share with their friends and families for future bookings. 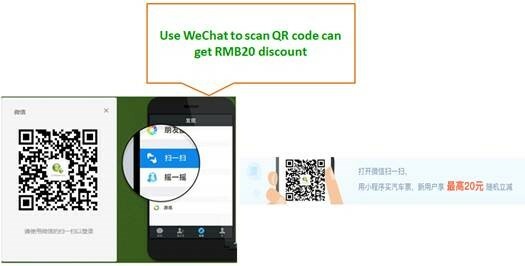 For the China market, WeChat is an effective CRM and Weibo is an open social media platform that Chinese are very used to scan the QR code and you can send the discount code to them that they can forward to their circles of friends. No paper to hand out, no code to remember and you are there all the time, on their mobile devices! 3. 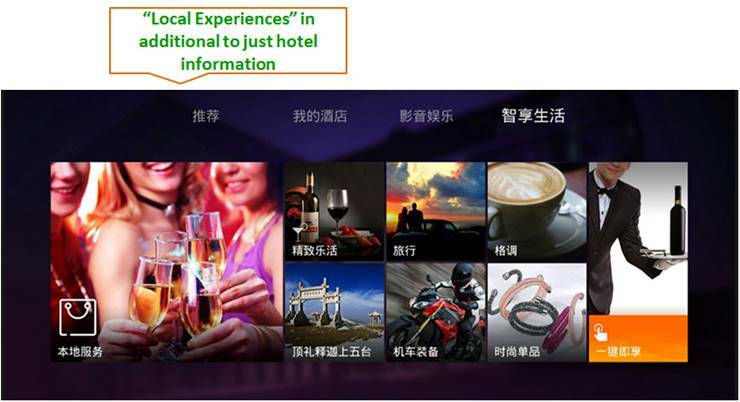 Enrich your product offering, add local knowledge information and not limited to your own hotel. OTAs are growing stronger not only because of their marketing spend. But they can offer many combined “packages” such as air + hotel, attraction tickets, train tickets. Like in China, overseas travelers cannot get train tickets online direct but they can get them on Ctrip. The online need now expands beyond a hotel room. Especially for independent hotels, look beyond your hotel. Do not just talk about your hotel on your website, talk about what’s nearby, good restaurants within walking distance, how to get to some key attractions and interesting trending topics in the area. Adding these add stickiness to your website and this is how you may end up with more direct bookings. Compass Edge is a company offering online solutions to independent hotels. 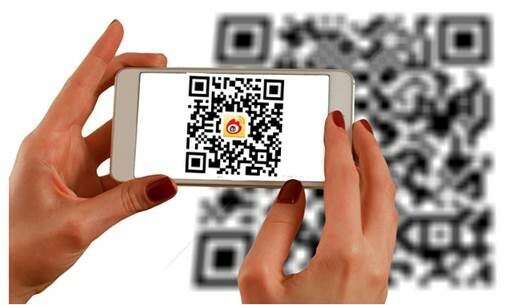 It is a niche service provider offering cost-effective branding solution for overseas hotels to establish online presence for the booming Chinese FIT market. Anita Chan is the CEO of Compass Edge. 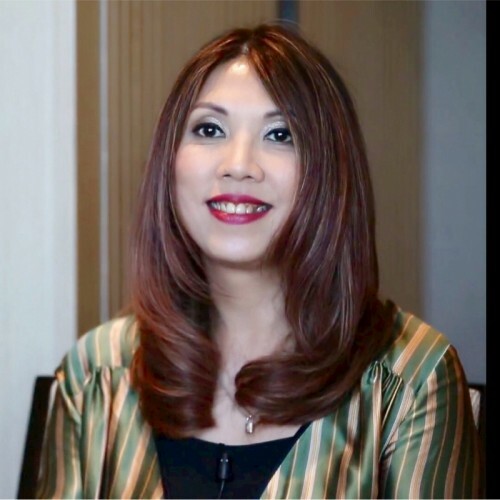 Anita worked for hotel chains, hotel representation companies in Canada, digital agencies for hospitality industry and leading OTA in Asia, soft brand company in Europe before joining Compass Edge.